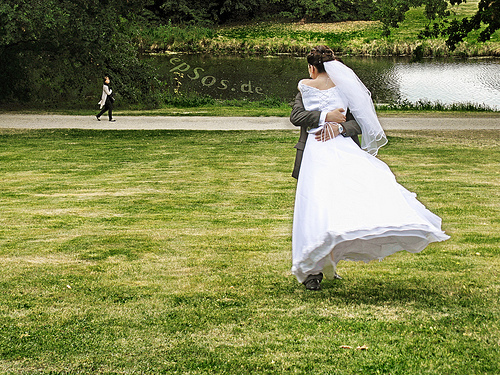 Spring is a perfect time to have or plan a wedding. Take advantage of spring sales to save on a wedding that must stick to a budget. If you're planning a wedding on a tight budget where funds are limited, you owe it to yourself to shop around and find the great deals that are out there. Hunting for great savings will help ensure that the bride (and groom, too) will still have the wedding of her dreams. 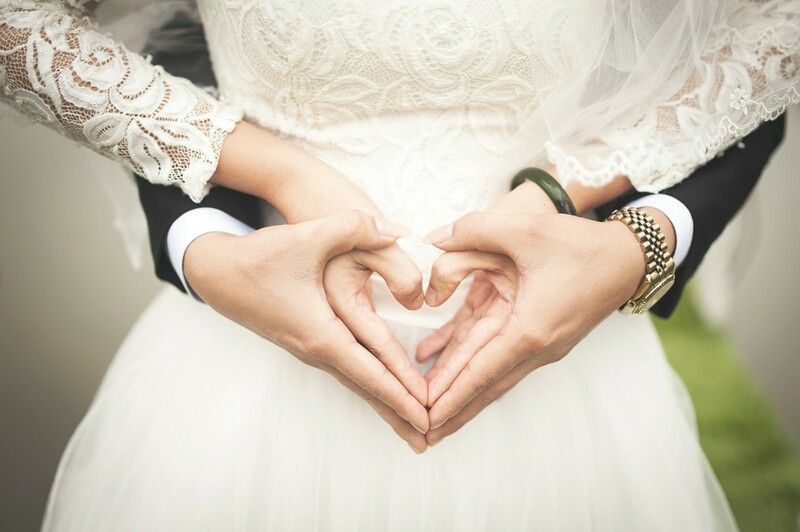 Taking the time to shop around for wedding needs is the best way to find the best savings on wedding attire, decorations, and other supplies. Online shopping is getting more popular and often offers deeper discounts and higher savings than do traditional stores. 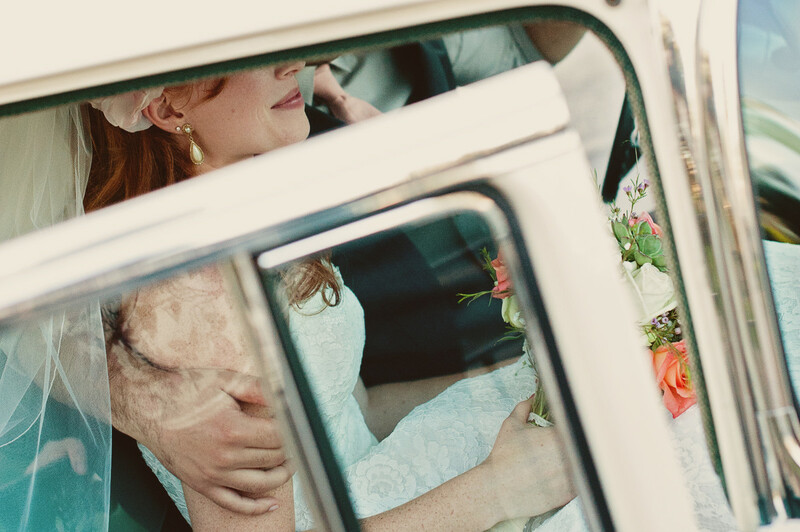 These days, brides can even shop online to find the best photographers. Sites such as GlamourMeStudio can help find just the right photographer based on preferences and that all-important budget. This site displays beautiful sample photos to showcase their fine work. Choose your own wedding style of dress! The wedding dress is one area where the wedding budget can be lowered. The dress alone can add thousands of dollars to an already stressed wedding budget. However, there are many places, especially online, to find beautiful wedding dresses for hundreds, rather than thousands, of dollars. Many have heard of David's Bridal, with dresses starting at $99. While that is certainly one option, there are many more. An online bridal store that is particularly impressive is Dress by You. 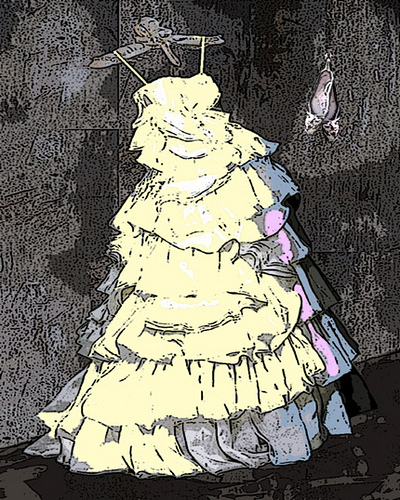 As the title implies, the bride helps to design her own dress. She can customize it by changing the color or style. She can make it longer or shorter, sleeveless or not. She can add a veil, gloves, or even just more fabric on the dress. What a fun site to explore! Most amazing are the prices shown for these dresses--in the hundreds! There are many in the 200 dollar range and even some for less than that. It's a site worth checking out for sure. 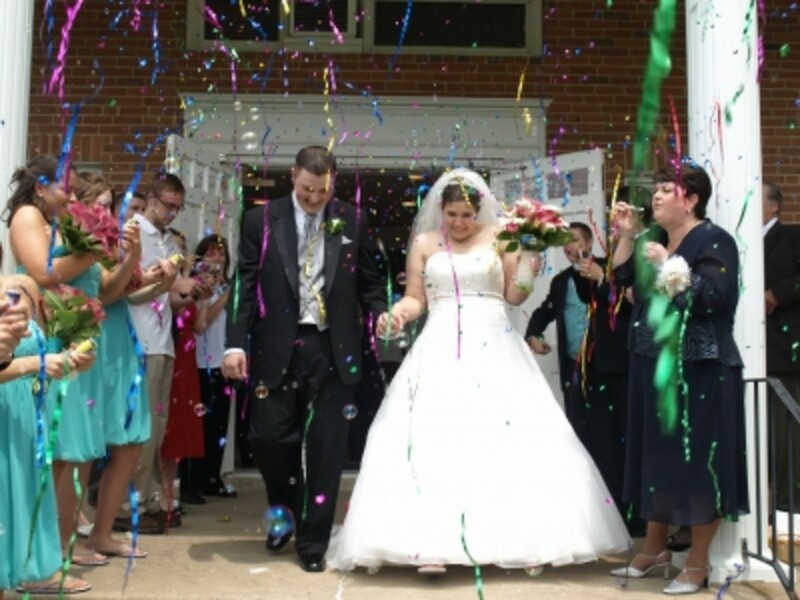 Saving on wedding supplies can drastically cut costs in that wedding budget. 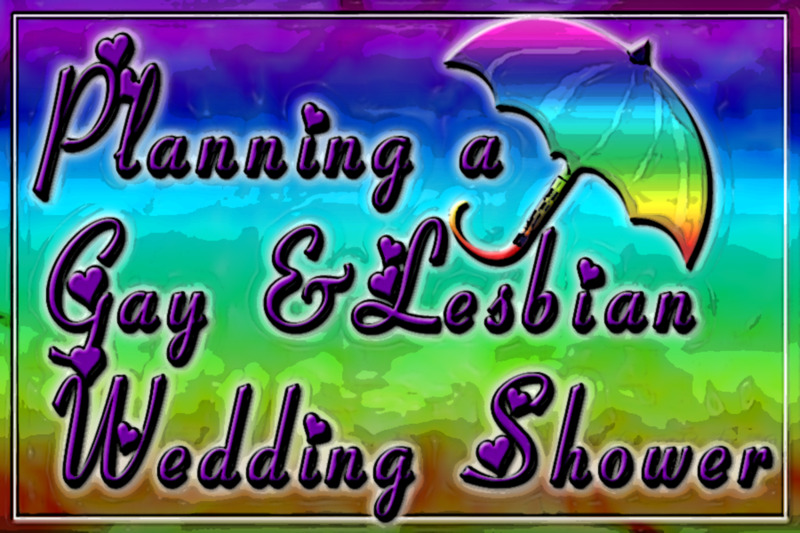 Email invitations are free and acceptable for very low budget or casual weddings. However, for more formal weddings, traditional print invitations may be more appropriate. Opt for getting these printed online at places such as WeddingPaperDivas (sounds interesting!) rather than local stores that charge way too much. 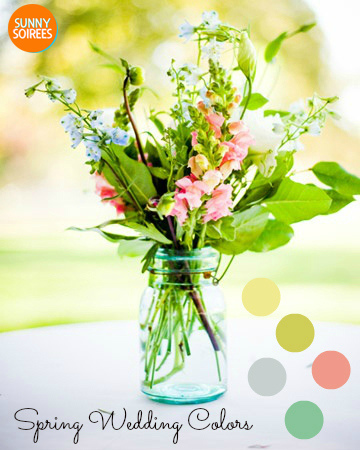 Another way to save is on wedding decorations, particularly by taking advantage of spring and summer flowers. Pick plentiful daisies and daffodils for a bridal bouquet. Decorate the church or other wedding site, as well as the reception, with nature's flowers. Consider tulips, roses, or even sprigs of bright yellow forsythia. Green plants are another option, and can be used in the home after the wedding is over. Dollar stores or online wedding outlet supply stores such as The Wedding Outlet are excellent sources for cheap tableware for the reception. Whatever the theme or color, an appropriate choice is likely to be found through these inexpensive resources. Cheap wedding favors can also be found at dollar stores. All that is needed are small tokens of appreciation that make the guests feel special. Small bags of candy, scented candles--items as inexpensive and simple as these can serve that purpose. Some online sites that also offer cheap wedding supplies are sites such as TheKnotWeddingShop, where you can buy 100 personalized matchbooks for $15.99. That's cheaper than buying one dollar gifts at the dollar store--and personalization of these and other wedding favors is free. That's only one example of their amazing deals. reception--dancing? local band or DJ? food for guests: cake, nuts, mints, punch? Here are some of the basic things to check off your list when planning a wedding. Have you accounted for all these items? Now that you've saved hundreds--or thousands--of dollars on the wedding ceremony, you can spend it on a romantic getaway. Where to go for the honeymoon? Well, that depends on what's left in your budget or if you have a generous uncle who is footing the bill for the honeymoon. Oh, but that's another story altogether. Check out all of the stores mentioned--and more--while shopping with these amazing wedding coupon deals for the necessary party decorations. Try spring bridal coupons, too, to really save when planning a wedding on a budget. Kathryn, you're welcome. Glad the hub is helpful! These are a lot of good tips for planning a wedding! I enjoyed reading this. Thanks for sharing this with us. Thank you so much for these ideas. A young girl (18) is getting married soon and the family is on a budget. I know this information will be welcome. DDE--I'm glad you think the hub is helpful. Thanks for your input! Awesome, Nellieanna! That would be great. I'd love to read it when you get to it! Thank you, Victoria - I will let you know. I've kept some notes. Random--That's great that you got wedding favors under a buck. A person just has to shop around. I can't see spending exorbitant amounts of money on a wedding. Good for you! Weddings are. . . never mind. Anything that can be done to minimize the financial and emotional burdens of them should be done, next choice only to elopement as a better course, - & investing all the moneys saved for the one 'big day' for benefit of future long years stretching out making a home & educating a family!! Victoria, thank you for posting this great advice! I hope everyone of marriageable age and parents of kids of such an age, will read and heed it!. Well done!! I'd written an extensive comment which became an account of my first-hand Bridal Consultant experiences, seeing the money flow like the National Debt building up; - but decided maybe to simply make a hub about it from that vintage vantage (my experiences were in 1953 & 1973 - quite different times); but only if you don't mind being named the inspiration for it! I'll keep you informed if I decide to do it! Great tips, Vicki! Under one dollar was my goal for wedding favors, and I'm proud to say that I did it. It is worth taking the time to research inexpensive wedding options to save a few extra bucks where you can.